TSAOG is very pleased to welcome Dr. Nicholas Nira to our practice! His first day is Thursday, July 5th. Dr. Nira is a chiropractor specializing in the non-surgical and drug-free treatment of neck pain, back pain, and extremity pain for patients aged 2 years and older. He has new patient appointments available at our New Braunfels and Schertz locations. 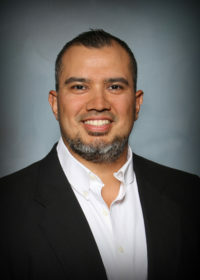 Dr. Nira is a San Antonio area native and graduate of Samuel Clemens High School. At a young age, he suffered serious knee injuries while participating in baseball and football, which gave him a special interest in the management of sports-related injuries. While working to obtain his undergraduate degree, he managed the rehabilitation center at a chiropractic office, which taught him the importance of a multi-disciplinary approach to patient care. Dr. Nira has been a practicing chiropractor since 2011 and joined TSAOG Orthopaedics in 2018 because he is a strong believer in an interdisciplinary approach to spinal care. He works with orthopaedic specialists, physical medicine and rehabilitation specialists, and physical therapists to ensure that each patient receives the comprehensive spinal care and treatment they deserve. His hobbies include golf, hunting, fishing, and working out and he loves spending time with his wife and their young son. To schedule an appointment with Dr. Nira, please call 210.281.9595 or request an appointment online. To learn more about Dr. Nira’s background and training, please visit his webpage.